Calling all sustainable and innovative tissue mills…! The entry submission for TWM’s Mill Awards 2019 is now open. Launched in conjunction with the world’s largest tissue industry trade show and conference – Tissue World Milan – the industry’s premier awards celebrate excellence in the tissue industry. Tissue World magazine’s awards have honoured tissue manufacturers with proven track records in sustainability initiatives and out-of-the-box marketing campaigns for three years. The award ceremony will take place on 25 March 2019 at the Fieramilanocity, Milan. There are two award categories up for grabs: “Most Energy-Aware Mill Award” and “Best Tissue Marketing Strategy Award”. 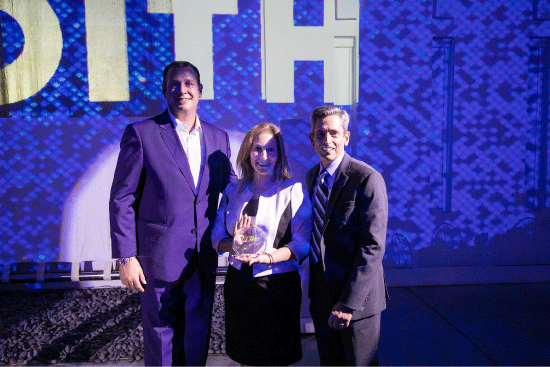 In the previous edition of the awards at Tissue World Miami 2018, Essity bagged the gold for the best Marketing Strategy Award. Cascades Pro took the first runner-up award in the marketing strategy category for its rebranding effort that created a new company name and tagline. Resolute Forest Products – Calhoun pulp, paper and tissue operations – was recognised by the Mill Awards 2018 judging team for its significant investments in green technologies and for moving from coal to natural gas power. Winners of the 2019 awards will receive complimentary tickets to attend Tissue World Milan Conference and Tissue World Aperitivo. Entry submission will close on 28 February 2019. For more details and to submit an entry, please visit www.tissueworld.com/awards. Share the post "Calling all sustainable and innovative tissue mills…!"